in time space , but several have come back and are on the beaches. North up from Venice north there is a ton of Tarpon on the beaches. 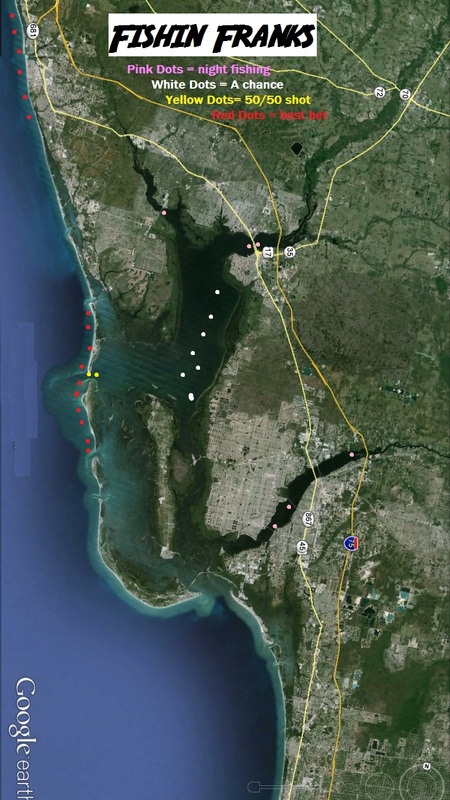 Boca pass to Gasparilla and down to Captiva the Tarpon are on the beaches there as well. 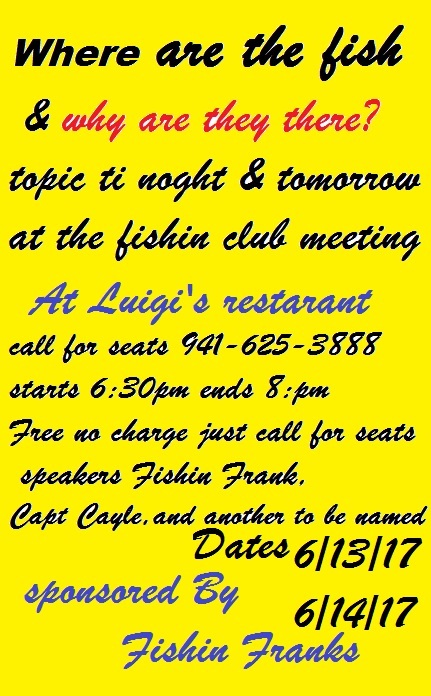 I hav3e a bet with Robert that the tarpon are going to be in the holes of the Harbor as the bait has moved in. Lots of tarpon at the 41 bridge at night from 10 to dawn, and shrimp is the best bait. People like to say how hot and muggy it is here. OK I get that. But we have the Harbor and the Gulf. Now lets compare Northern states, Hotter than heck muggy and the sky turns green. No Harbor, No gulf. Lots of the country is Hot & muggy, but if that’s the weather, this is the place to be in it. fire up the boat and make a breeze.